As first revealed at Comicbook.com, Valiant is proud to announce that longtime actor, screenwriter, and Eisner Award-nominated comics scribe Kevin Grevioux (Underworld, Odyssey of the Amazons) has joined the BLOODSHOT RISING SPIRIT creative team of rising stars Lonnie Nadler and Zac Thompson (Cable) and legendary artist Ken Lashley (Black Panther). Grevioux comes on board to script and co-write the series, which hits comic shops everywhere on November 14th. Grevioux reunites with Lashley and editor Karl Bollers on the project, all of whom have worked on various projects together for over a dozen years throughout their careers in the comic book industry, including Marvel’s What If? and Underworld: Blood Wars. On November 14th, celebrated writer Kevin Grevioux (New Warriors) teams up with the incomparable writing duo of Lonnie Nadler and Zac Thompson (The Dregs) and comics legend Ken Lashley (X-Men) for an unforgettable journey into the mind of Valiant’s most unrelenting hero in BLOODSHOT RISING SPIRIT #1 – featuring covers by Felipe Massafera (Green Lantern: Emerald Warriors), David Mack (Kabuki), and Staz Johnson (Robin)! 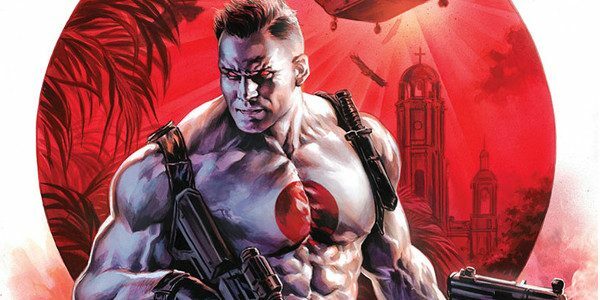 BLOODSHOT RISING SPIRIT #1 will also launch Valiant’s Glass Series, a cutting-edge concept in which strictly limited runs of upcoming first issue variant covers will be printed via a special multi-colored process on a carefully devised pane of glass, each featuring artwork by superstar creator Doug Braithwaite (Justice, SHADOWMAN)!